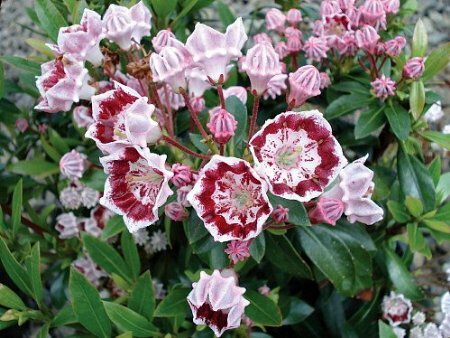 Very hardy, zones 5-9 Prefers shade or part-shade 3' tall, space 3' apart Light pink buds open to dark pink flowers with a light pink center The starter plant you will receive is growing in a 2x3" pot. A smaller growing varieties with large banded flowers. Light pink buds open to dark pink flowers with a light pink center. Also bears unique, dark green narrow leaves.